Mida d'aquesta previsualització PNG del fitxer SVG: 600 × 300 píxels. Altres resolucions: 320 × 160 píxels | 640 × 320 píxels | 800 × 400 píxels | 1.024 × 512 píxels | 1.280 × 640 píxels. 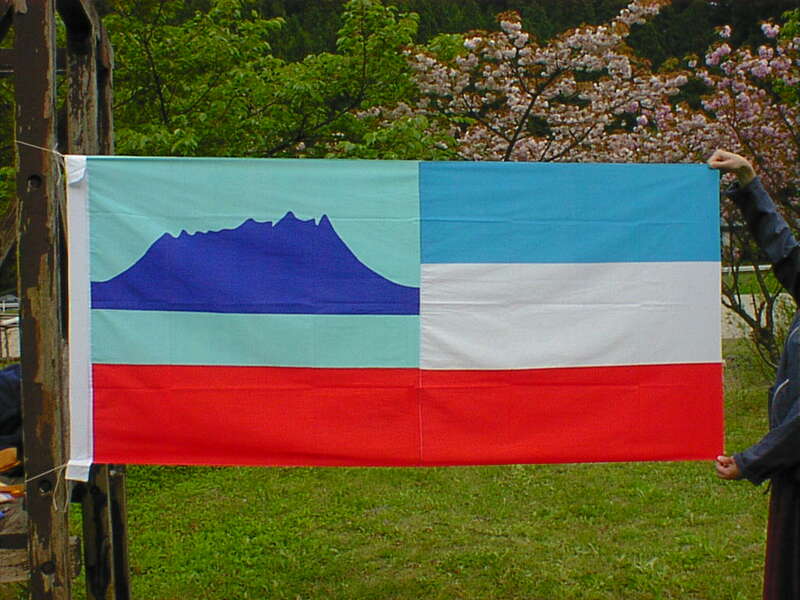 Flag of the Malaysian state Sabah. Based on a GIF  from a government website, colors from a photo . Drawn by Mysid. The flag was adopted September 16, 1988. The mountain on the left is Mount Kinabalu. ﻿Aquesta imatge ha estat, o ho és d'ara endavant, alliberada al domini públic pel seu autor, Mysid del projecte Wikimedia Commons. Això s'aplica a escala mundial. Mysid concedeix el dret a tothom per utilitzar aquesta obra per a qualsevol propòsit, sense cap condició, llevat que tals condicions siguin exigides per llei. 21:41, 5 jul 2013 648 × 324 (4 Ko) Fry1989 I worked hard on this and used many sources. The other version is invalid. 20:10, 5 jul 2013 651 × 325 (1 Ko) Muffin Wizard Reverted to version as of 20:55, 9 August 2006 : I think the old one is already better, plus it is a official in our country. This one looks similar with my old exercise book which is not an official.